Start with creating a selection of your subject. Make use of any selection tool which is available. Here we will make use of quick selection tool. The selection of the subject doesn’t have to be perfect but not to leave out the large part when making the selection. The Refine Edge window will pop up. Depending on the colors of the photo you are using select a view mode of refine edge. In this example the while background is perfect to see the selection and what we are doing. Make use of different modes to learn which work best for selection you want to make. The selection in this example is ok but far from perfect one. Still, grey areas in the hair and edges are rough. Adjusting the edges will set this. 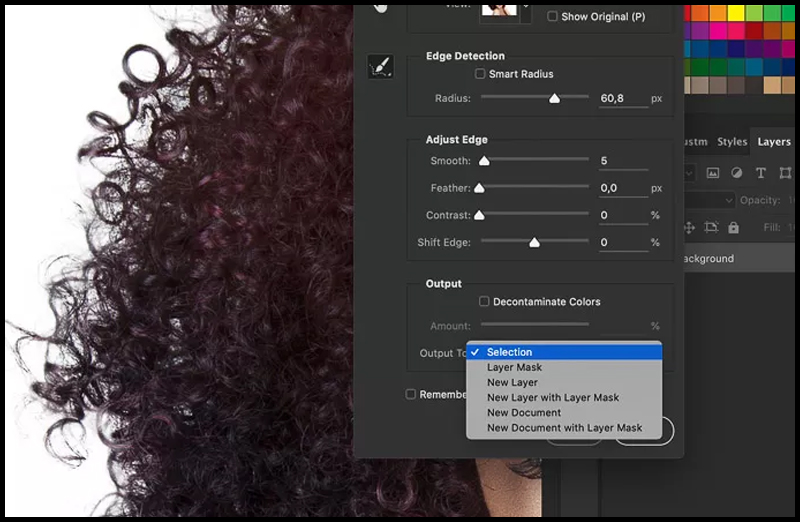 Start with radius this is the setting you use the most when refining edges in Photoshop. 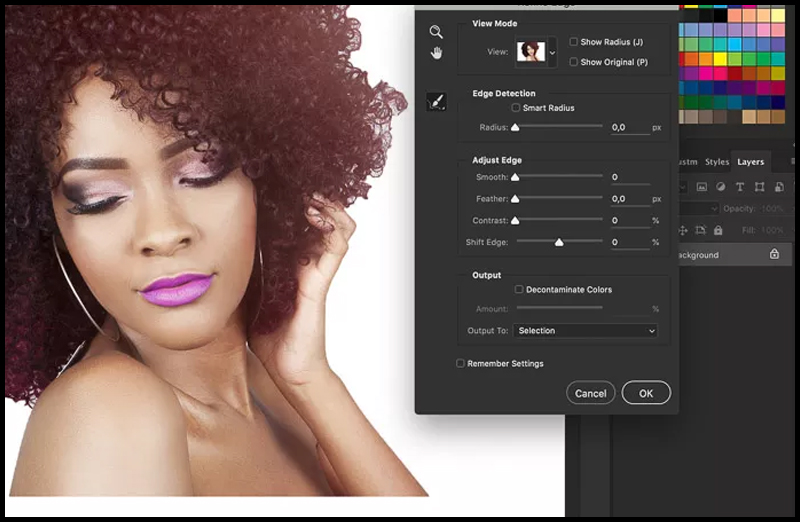 Increase the slider value to make the edges of the selection softer and natural. For the most part, the radius defines what the result will look like. 1. Smooth Slider: The Smooth slider smooth out the edges. Keep it low because it takes away from selection. 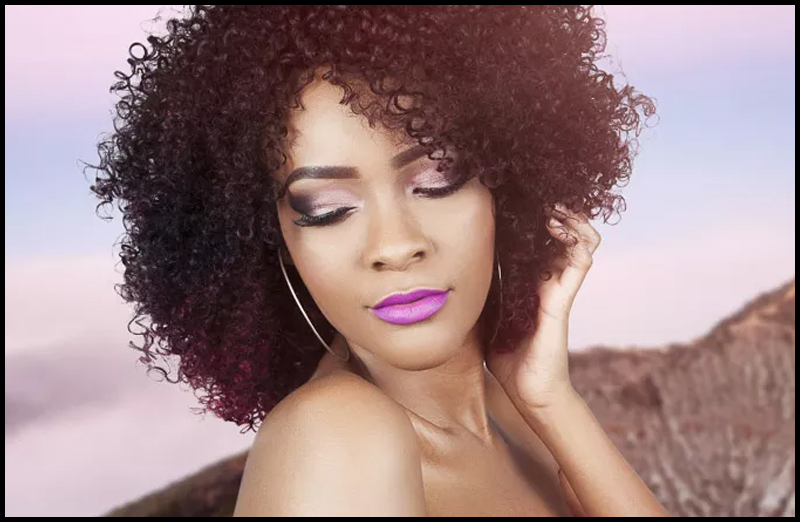 In this example: Here we use this slider to smoothen the edges of the hair. 2. Feather Slider: The Feather slider use to blend the selection more into its eventual background. 3. Contrast Slider: The Contrast slider adds more definition to edge. Using much will create harsh edges. 4. Shift Edge: Move the Shift Edge left or right to shrink or expand the selection. Check decontaminates colors to remove color fringe before your output. It could be necessary when your subject is against a contrasting color background. To finalise the selections select one of the output options. Usually, New Layer with Layer Mask is the best option. It allows editing the selection even further without losing the original quality of the photo. 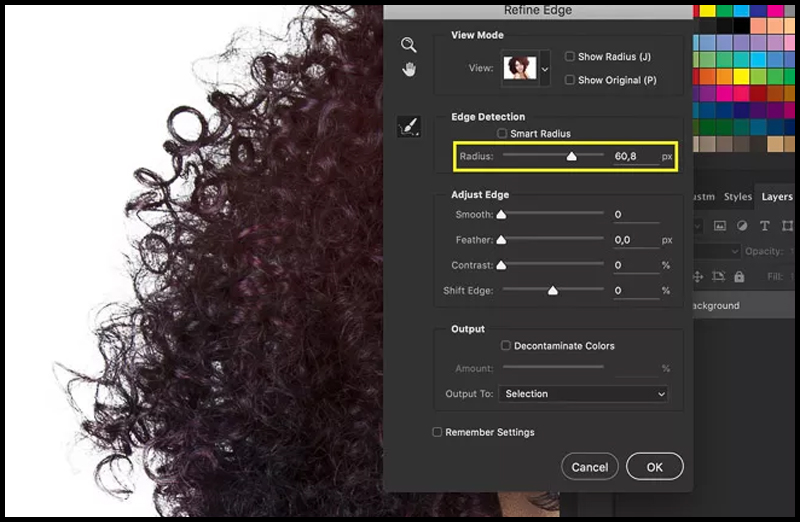 There is no better way to select hair than using the Refine Edge tool in Adobe Photoshop. Do practice a lot with the subject on different backgrounds. The Background effects how difficult making the selection will be. Begin with uniform backgrounds and then move on to the colorful ones. For students who are interested to learn more on Adobe Photoshop tools and would like to learn this on a more professional level, please sign up today for our Arena Sayajigunj Course.